Meanwell LED driver importer, distributor, trader, supplier in India. We have wide range of Meanwell LED products like SMPS, LED Drivers, Rainproof Power Supply, DC-DC Converters from all over India. Our major customers & dealers for meanwell LED drivers are presented in all over India. 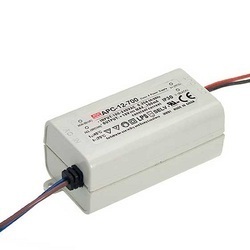 Meanwell LED driver in Mumbai,meanwell India,meanwell Chennai, Madurai, Meanwell LED Driver Coimbatore, Pondicherry, Meanwell Bangalore, Hubli, Hyderabad, Vizag, Meanwell led driver Mumbai, Biwadi,MeanwellLed Driver Delhi, Pune, Noida, Haryana, Faridabad, Ghaziabad, Meanwell Gujarat, Andhrapradesh, Baddi, Indore, Meanwell Led Driver Kerala, Surat, Tamilnadu, Meanwell Leddriver Ahmedabad, Meanwell Mangalore, Udupi, Kochi, Trivandrum, Maharashtra, Vadodara, Vapi, Meanwell Led Driver Maharashtra,Meanwell Rainproof Power SupplyChennai,Kolkata, West bengal, Udaipur, Jaipur, Punjab,Silvassa, Ludhiana,Kashmir, Goa, Jharkhand, Odisha, etc. Authorized distributors for Meanwell, Carlo gavazzi, Fotek. ERPF-400 series is a 400W single output enclosed type AC/DC power surply with the active PFC design.It adopts an aluminum case and the interior is semi-potted, protecting the internal electronic components from rain splash and dust. With the complete protection functions, ERPF-400 is suitable for the applications such as outdoor LED channel letters, billboard, commercial signs, etc. We provide Meanwell LCM LED Driver to our clients. 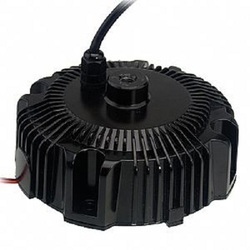 We take pleasure to introduce ourselves as one of the leading organizations, engaged in offering a comprehensive range of LED Driver. Our offered driver is highly demanded in the market for its compact design, heat-resistance and durability. The offered driver is manufactured with the help of fine grade raw-material and progressive technology in adherence to set industry norms. Moreover, driver offered by us can also be availed in various specifications as per different requirements of our precious clients. 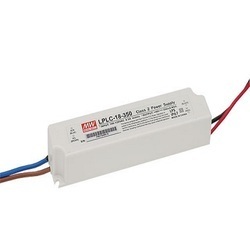 LED DRIVER MEANWELL PLP Series is a open frame led driver, universal ac input range with constant current limiting (auto recovery) model, suitable for building in LED lighting systems, other than led drivers we have products like SMPS,led Drivers, DC-DC Convertors, ac-dc convertors, power supply, medical power supply, telecom power supply, enclosed type smps, open type smps etc. MEANWELL LED DRIVER PLN SERIES distributor for india is Sree dhanam automation pvt ltd. since the LED market booming in india we supports to n number of led lighting mfrs all over india.this meanwell PLN series is a hot cake product which has several features to supports to the LED lightings mfrs, signage mfrs, digital display etc. ELN, PLD, LPF, LPV, PWM, PLP, PLC, PLP, CEN, CLG, HLN, HBGC, HLG, HVGC, HBG, HSG, ULP, LCM, PWM, NPF, PCD, OWA, HLP, GSC, LDD/LDH ETC. Other than LED drivers we have products like meanwell SMPS, meanwell AC-DC, meanwell DC-DC Convertors and supplying all over India. Suitable for LED lighting and moving sign applications. Sree Dhanam Automation MEANWELL LED DRIVER PLC SERIES distributor in India.Since the PLC LED driver has plastic case with built in constant current limiting circuit,built in PFC function, these functions will help the led lighting mfrs all over India. signage mfrs, digital display etc. 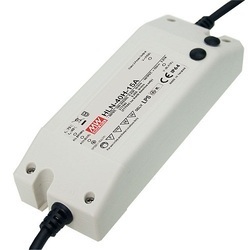 waterproof led driver, meanwell AC-DC, meanwell DC-DC Convertors and supplying all over India. MeanWell led driver ELN, PLD, LPF, LPV, PWM, PLP, PLC, PLP, CEN, CLG, HLN, HBGC, HLG, HVGC, HBG in India. Ahmedabad, Vadodara, Vapi, Maharashtra, Kolkata, Westbengal, Udaipur, Jaipur, Punjab, Silvassa, Ludhiana, Kashmir, Goa, Jharkhand, Odisha, etc. MEANWELL LED DRIVER PWM SERIES distributor for India is Sree Dhanam Automation Pvt Ltd. Since the LED market booming in India we supports to n number of led lighting mfrs all over India. This MeanWell PWM series is a hot cake product which has several features to supports to the LED lightings mfrs, signage mfrs, digital display etc. Other than LED drivers we have products like MeanWell SMPS, MeanWell AC-DC, MeanWell DC-DC Convertors and supplying all over India. With thorough understanding of the relevant industry, we are offering a wide range of Meanwell LED Driver. Offered driver is manufactured using optimum quality raw-material and advanced technology. In tune with different requirements of our copious clients, we customize the entire range in various sizes and shapes. 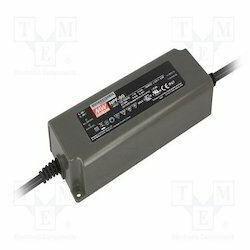 This driver is mainly used in LED lights and TV sets. Our offered driver has gained exceptional value amongst our clients for its defined features. With the help of our team of adroit professionals, we are indulged in offering a wide assortment of HLG Series LED Driver. It is a hot cake product which has several features to supports to the LED lightings mfrs, signage mfrs, digital display, waterproof led driver etc. Our offered driver is designed by our vendor’s using high grade raw material, keeping in mind prevailing guidelines of industry norms. Offered driver is highly demanded in food processing industries. Considering variegated demands of our respected clients, we offer this driver in various sizes and other related specifications at market leading rates. Suitable for dry / damp / wet locations. MEANWELL LED DRIVER CLG SERIES dealers, importers, distributors, suppliers in india. CLG led driver are metal case with rugged housing, constant current can be adjusted with the internal potentiometer IP67 rated LED DRIVER. 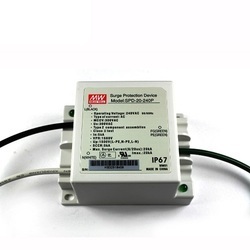 Other than drivers we have SMPS, led smps, ac-dc convertors, DC-DC Convertors, smps, power supply, switch mode power supply and supporting to the customers all over India. 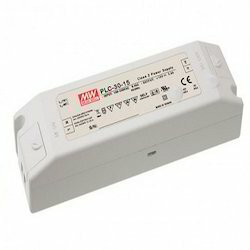 meanwell CLG series led driver has widely used in more no of LED applications.meanwell CLG driver not only in India it has good reputation all over the world. 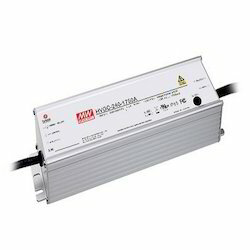 even most of our led drivers are waterproof led drivers with IP Protection. Meanwell led driver have are different series ELN, PLD, LPF, LPV, PWM, PLP, PLC, PLP, CEN, CLG, HLN, HBGC, HLG, HVGC, HBG, HSG, ULP, LCM, PWM, NPF, PCD, OWA, HLP, GSC, LDD/LDH etc. mfrs, signage mfrs, LED digital display, moving sign boards etc. 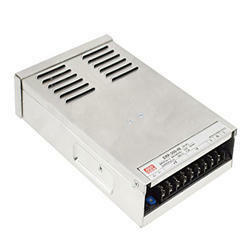 MeanWell DC-DC Convertors MeanWell power supply, MeanWell led smps, MeanWell LED power supply supplying all over India. Suitable for dry/ damp/ wet locations. MEANWELL LED DRIVER LPF SERIES distributor for India is Sree Dhanam Automation Pvt Ltd. Since the LED market booming in India we supports to n number of led lighting mfrs all over India. This Meanwell LPF series has several features to supports to the LED lightings mfrs,signage mfrs,digital display etc. 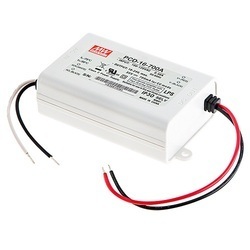 Other than LED drivers we have products like Meanwell SMPS, meanwell AC-DC,meanwell DC-DC Convertors,water proof LED driver and supplying all over India. Meanwell led driver ELN, PLD, LPF, APV, LPV, PWM, PLP, PLC, PLP, CEN, CLG, HLN, HBGC, HLG, HVGC, HBG. Jaipur, Punjab, Silvassa, Ludhiana, Kashmir, Goa, Jharkhand, Odisha, etc. distributor for india is Sree Dhanam Automation Pvt Ltd. since the HLN LED market booming in India we supports to n number of led lighting mfrs all over India.this Meanwell HLN series is a hot cake product which has several features to supports to the LED lightings mfrs, Signage mfrs, Digital display etc. Meanwell DC-DC Convertors, smps, switch mode power supply and supplying all over India. Vadodara, Vapi, Maharashtra, Kolkata, Westbengal, Udaipur, Jaipur, Punjab, Silvassa, Ludhiana, Kashmir, Goa, Jharkhand, Odisha, etc. MEANWELL HLP SERIES dealer,importer,distributor for India. led driver India is Sree Dhanam Automation Pvt Ltd Chennai Tamil Nadu India. Since the LED driver market in India has a wast opening this is the latest growing market, we supports to number of led lighting mfrs all over India. This Meanwell HLP series is a hot cake product which has several features to supports to the LED lightings mfrs, signage mfrs, digital display. Meanwell led driver ELN, PLD, LPF, APV, LPV, PWM, PLP, PLC, PLP, CEN, CLG, HLN, HBGC, HLG, HVGC, HBG Other than LED drivers we have products like Meanwell SMPS, waterproof led driver, Meanwell AC-DC, LED SMPS, LED DRIVER, Meanwell DC-DC Convertors and supplying all over India. HLP series Our major customers are presented in Meanwell India. Silvassa, Ludhiana, Kashmir, Goa, Jharkhand, Odisha, etc. MEANWELL LED DRIVER PLD SERIES distributor for India is Sree Dhanam Automation Pvt Ltd. Since the LED market booming in India we supports to n number of led lighting mfrs all over India.This MeanWell PLD series is a hot cake product which has several features to supports to the LED lightings mfrs, signage mfrs, digital display etc. Other than LED drivers we have products like Meanwell SMPS, Meanwell AC-DC,Meanwell DC-DC Convertors and supplying all over India. MEANWELL LED DRIVER PLM SERIES distributor for India is Sree Dhanam Automation Pvt Ltd. Since the LED market booming in India we supports to n number of led lighting mfrs all over India. This MeanWell PLM series is a hot cake product which has several features to supports to the LED lightings mfrs, signage mfrs, digital display etc. Other than LED drivers we have products like meanwell SMPS, meanwell AC-DC, meanwell DC-DC Convertors and supplying all over India. Isolation class II, no FG. Isolation Class 2 and no F.G.
MEANWELL LED DRIVER NPF SERIES distributor for India is Sree Dhanam Automation Pvt Ltd. Since the LED market booming in India we supports to n number of led lighting mfrs all over India. This meanwell NPF series is a hot cake product which has several features to supports to the LED lightings mfrs,signage mfrs,digital display etc. Other than LED drivers we have products like meanwell SMPS, MeanWell AC-DC, MeanWell DC-DC Convertors and supplying all over India. Our major customers for meanwell NPF driver are presented in Northindia South India. We are covering the following cities like Chennai, Madurai, Coimbatore, Pondicherry, Bangalore, Hubli, Hyderabad, secunderabad, Vizag, NPF LED Mumbai, Biwadi, Delhi, Pune, Noida, Haryana, Faridabad, Ghaziabad, Gujarat, Baddi, Indore, Surat, Ahmedabad, Tamilnadu, maharashtra, Vadodara, meanwell NPF Vapi, Maharashtra, Kolkata, kerala, cochin, NCR, Westbengal, Udaipur, Jaipur, Punjab, Silvassa, Ludhiana, Kashmir, Goa, Jharkhand, Odisha, etc. 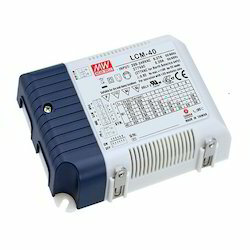 MEANWELL LED DRIVER LCM SERIES distributor for India is Sree Dhanam Automation Pvt Ltd. Since the LED market booming in India we supports to n number of led lighting mfrs all over India. This MeanWell LCM series is a hot cake product which has several features to supports to the LED lightings mfrs, signage mfrs, digital display etc. 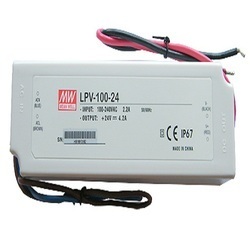 Other than LED drivers we have products like MeanWell SMPS, MeanWell AC-DC, MeanWell DC-DC Convertors, led power supply, led smps, power supply, switch mode power supply and supplying all over India. 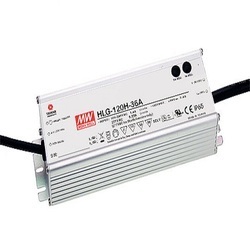 Protections: Short circuit/Over voltage(40W/60W only)/over temp. Class II power unit, no F.G.
MEANWELL LED DRIVER PCD SERIES distributor for India is Sree Dhanam Automation Pvt Ltd. no. 1, 1st street, Vallalar nagar, Thirumullaivoyal, Chennai-62. Since the LED market booming in India we supports to n number of led lighting mfrs all over India. This meanwell PCD series is a hot cake product which has several features to supports to the LED lightings mfrs, signage mfrs, digital display etc. 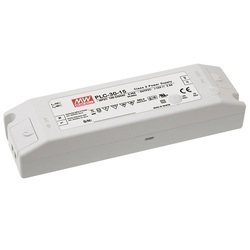 Other than LED drivers we have products like MeanWell SMPS, MeanWell AC-DC, MeanWell DC-DC Convertors, LED SMPS, LED Power supply, switch mode power supply and supplying all over India. MEANWELL LED DRIVER HVG SERIES distributor for India is Sree Dhanam Automation Pvt Ltd.Since the LED market booming in india we supports to n number of led lighting mfrs all over india. This meanwell HVG series is a hot cake product which has several features to supports to the LED lightings mfrs, signage mfrs,digital display etc. Other than LED drivers we have products like meanwell SMPS, meanwell AC-DC, LED SMPS,meanwell DC-DC Convertors and supplying all over India. MEANWELL major customers for meanwell HVG driver are presented in Northindia South India. We are covering the following cities like LED DRIVER Chennai, Madurai,LED SMPS Coimbatore, Pondicherry, LED SMPS Bangalore, Hubli, Hyderabad, secunderabad, Vizag,HVG LED DRIVER Mumbai, Biwadi,LED DRIVER Delhi, Pune, Noida,Haryana, Faridabad,LED SMPS Ghaziabad, Gujarat, Baddi,Indore,Surat,MEANWELL Ahmedabad, SMPS Tamilnadu, Maharashtra, Vadodara, Meanwell HVG Vapi, Maharashtra, Kolkata, kerala, cochin, NCR, Westbengal, Udaipur, Jaipur, Punjab, Silvassa, Ludhiana, Kashmir, Goa, Jharkhand, Odisha, etc. Protections: Short Circuit/Over current/Over voltage/Over temp. MEANWELL LED DRIVER HVGC SERIES distributor for india is Sree dhanam automation pvt ltd. since the LED market booming in india we supports to n number of led lighting mfrs all over india. this meanwell HVGC series is a hot cake product which has several features to supports to the LED lightings mfrs, signage mfrs,digital display etc. Other than LED drivers we have products like meanwell SMPS, meanwell AC-DC,meanwell DC-DC Convertors and supplying all over India. Our major customers for meanwell HVGC driver are presented in Northindia & South India. We are covering the following cities like Chennai, Madurai, Coimbatore, Pondicherry, Bangalore, Hubli, Hyderabad, secunderabad, Vizag, HVGC LED Mumbai, Biwadi, Delhi, Pune, Noida,Haryana, Faridabad, Ghaziabad, Gujarat, Baddi, Indore, Surat, Ahmedabad, Tamilnadu, maharashtra, Vadodara, Meanwell HVGC Vapi, Maharashtra, Kolkata, kerala, cochin, NCR, Westbengal, Udaipur, Jaipur, Punjab, Silvassa, Ludhiana, Kashmir, Goa, Jharkhand, Odisha, etc. Protections: Short Circuit/Over current/Over temp. CEN Series LED Driver distributor for India is Sree Dhanam Automation Pvt Ltd. 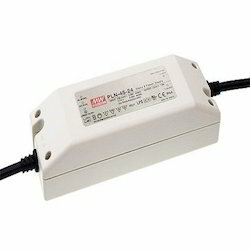 Since the LED market booming in India we supports to n number of led lighting mfrs all over India.This CEN Series LED Driver which has several features to supports to the LED lightings mfrs, signage mfrs, digital display, water proof led driver etc. GSC, LDD/LDH ETC these LED drivers are used as LED street ligt driver, LED STRIP DRIVER, LED DRIVER for display board, LED Driver for sign board etc. 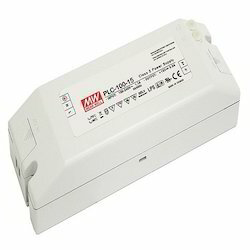 Apart form LED driver we have products like Meanwell SMPS, Meanwell AC-DC, Meanwell DC-DC Convertors, SMPS, DC power supply, switch mode power supply and supplying all over India. Under the strict supervision of our experienced professionals, we are offering a wide collection of LPV LED Driver. 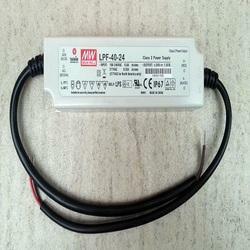 It can be easily fixed in led sign boards and used as a waterproof led driver and other applications. Our offered driver is available in a variety of sizes and other such specifications to choose from. The driver offered by us is precisely designed at our vendor’s highly advanced manufacturing unit following industry defined guidelines. The offered driver can also be availed from us at the industry leading prices.